Texas is famous for its love affair with guns. Elected officials in the Lone Star State can’t move quickly enough, it seems, to equip everyone who is not a toddler or a recognized mass murderer with firearms. Enter the new Texas-centered documentary Tower. 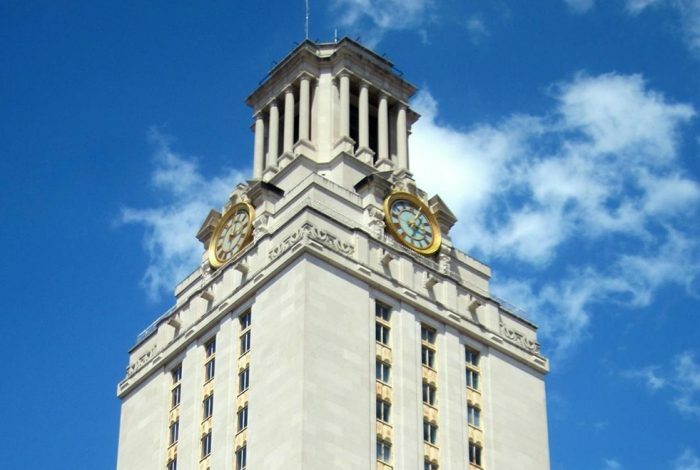 It’s a spell-binding recreation of an extraordinary event: that day in 1966 when someone ascended to the top of the clock tower at the University of Texas in Austin, and began firing a rifle at anything and everything. The siege continued for an astonishing 96 minutes. It was the first campus mass shooting. By the time the gunman, Charles Whitman, a former marine sharpshooter turned architectural engineering student — with an arsenal, including a 6 mm Remington rifle with a telescopic sight, an M1 semi-automatic carbine, and several handguns — was finally killed, the toll was 16 dead and three dozen wounded. The siege traumatized the nation — back before this kind of pointless carnage became so common. I saw Tower, appropriately, in Austin — during the South by Southwest (SXSW) film festival. It was interesting to see it in the state capitol, and one of the most liberal, tolerant places in Texas — ironically, perhaps the place where one might normally feel the least threatened by firearms. The film, which won SXSW’s audience award for Feature Documentary, itself is a feat of innovation. It is a dramatic reconstruction, a mix of archival footage, voice-overs from present-day interviews with the survivors and “rotoscopic” animation. This kind of thing has perhaps never been done before — at least I have never seen a film rendered quite this way — and both the story and the technique are riveting. It moves relentlessly from the first shot until the gunman is subdued, then continues into interviews and recollections, bringing us up to date with some of those whose lives intersected on that extraordinary day. What stands out the most for me are the personal accounts of paralyzing fear and self-described cowardice, as well as astonishing heroism. In particular, the story of one woman, Claire Wilson, who lost both her boyfriend and her unborn child that day. And the woman who ran out to comfort her, risking her own life as the gunman continued relentlessly. 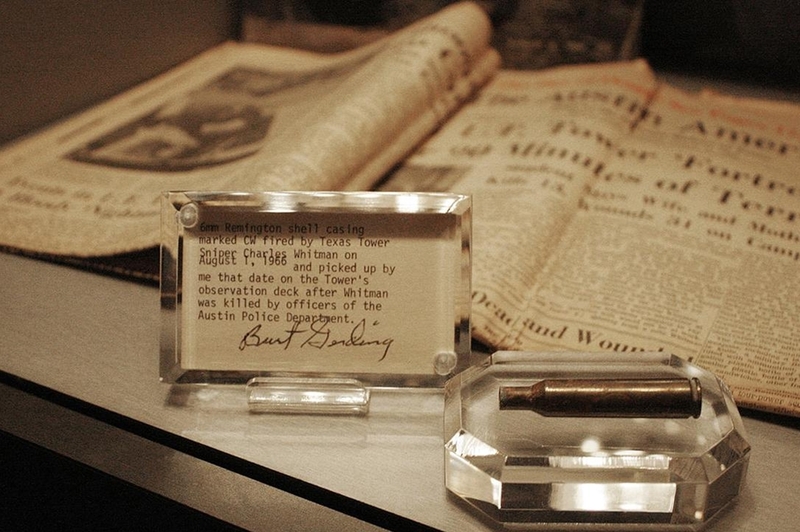 And Allen Crum, university bookstore manager and Air Force tail gunner, who had never fired a weapon, but, nonetheless, heroically mounted the tower carrying an old rifle, joined by a couple of poorly-equipped Austin police officers. Although the film wisely stays rigorously on its narrative course, no viewer can avoid musing about where we are, half a century hence, as a society. Presumably, though, we will break along predictable lines. Some will wonder whether Whitman could have somehow been picked off earlier if more citizens were armed. Others will worry about the proliferation of guns on campus. And that is a timely subject, proving once again that past is prologue. This coming August 1st is a kind of double whammy: it’s the 50th anniversary of the Tower bloodbath, for which the university, very belatedly, will be unveiling a monument. Amazingly, that is also the day a Texas law goes into effect allowing licensed individuals to carry concealed weapons on campuses. As many as 500 UT students are expected to be able to attend classes, packing heat. That development has plunged the university into recriminations and protests, and at least two faculty members, worried about their own safety, have resigned. What, one wonders, have we learned over these 50 years? And where is it all headed?